June 10, 2014 - As you walk in, you feel like you are going through a time warp and landing abruptly in 18th-century Europe. 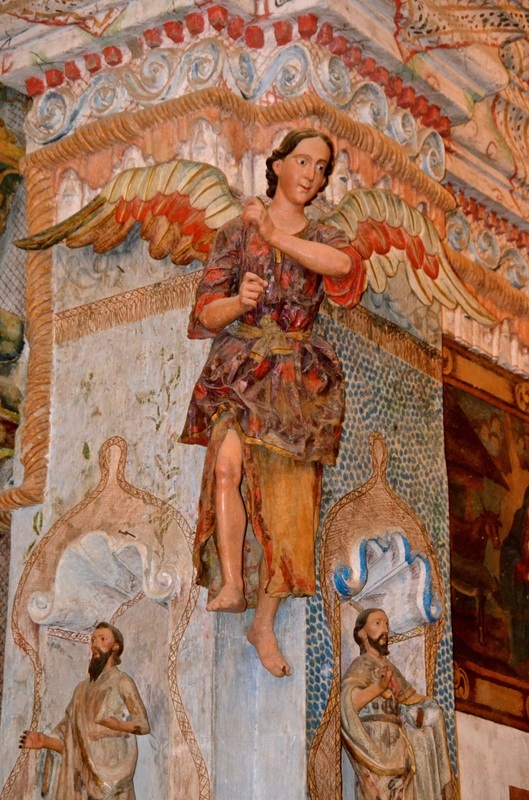 A few minutes earlier you were driving through the Arizona desert, but suddenly you are surrounded by dozens of saints and angels. You feel as if you were in a wonderful dream, as if you had crossed the gates of heaven. 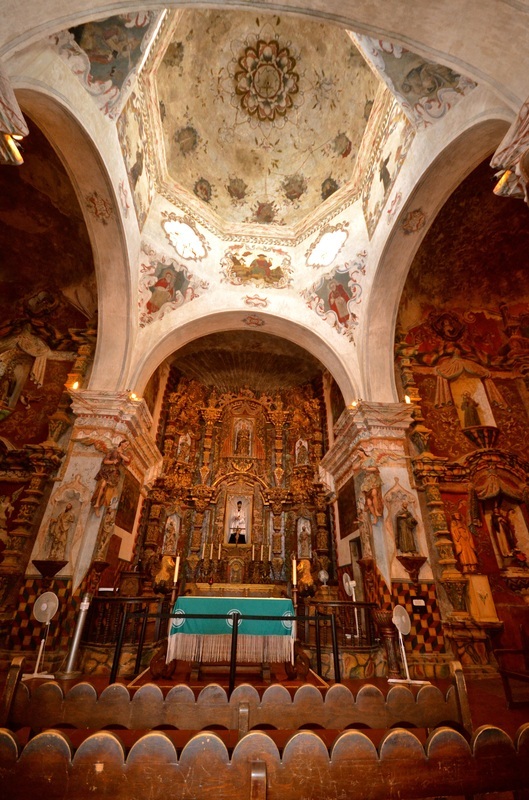 You are in the San Xavier del Bac mission church in southern Arizona — and you can't believe your eyes! 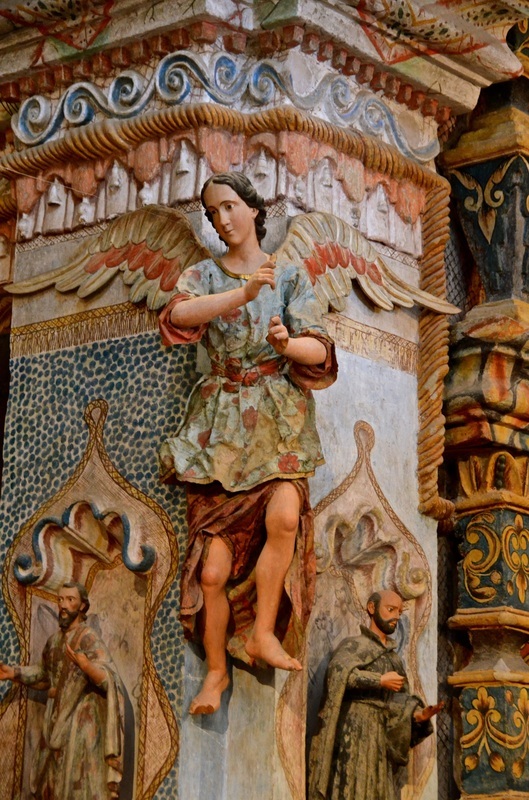 You are surrounded by so many wooden statues, and they are so well-carved and beautifully painted that you need a few minutes just to stand there in awe. Regardless of your religion, you know you are in a special place. But if you are Catholic, you feel your faith in your soul. And if you are Hispanic, you feel your Spanish roots giving you immense pride. 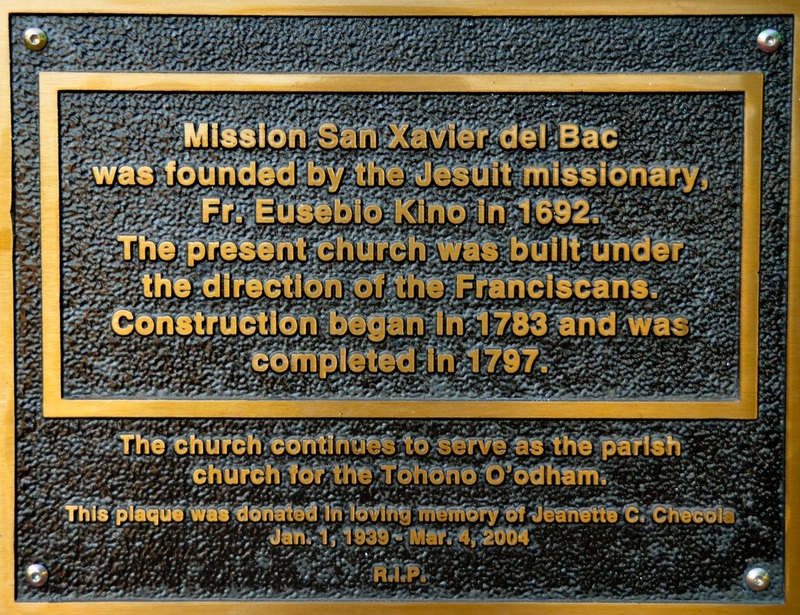 Founded as a Catholic mission by Jesuit missionary and explorer Father Eusebio Kino in 1692, San Xavier del Bac is part of the Tohono O'odham Native American reservation and still serves the descendants of the Native Americans Kino converted to Catholicism more than three centuries ago. They are also known as the Papago Indians, which is what the Spanish missionaries called them, but they prefer Tohono O'odham, which means, "Desert People." And in their language, "del Bac" means "Point of Water." 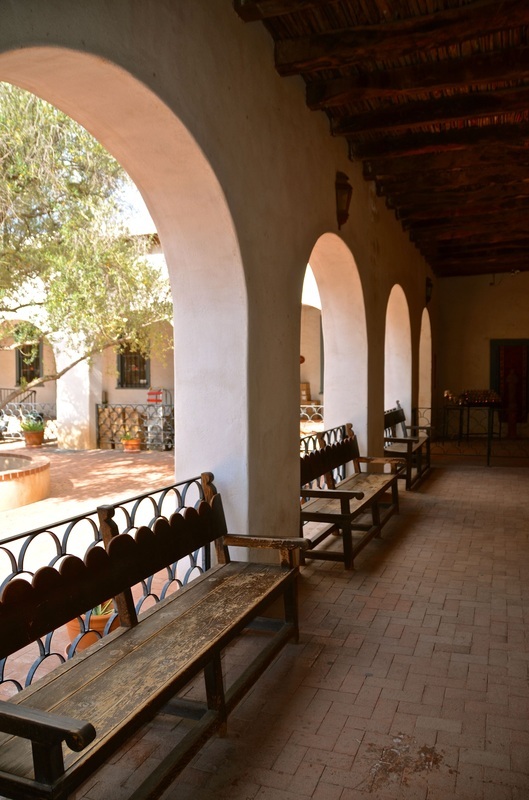 Primarily in the Sonora desert and encompassing portions of Pima, Pinal and Maricopa Counties in southern Arizona, the Tohono O'odham Nation is the third largest Indian reservation in the country — in territory that once was part of New Spain and Mexico. 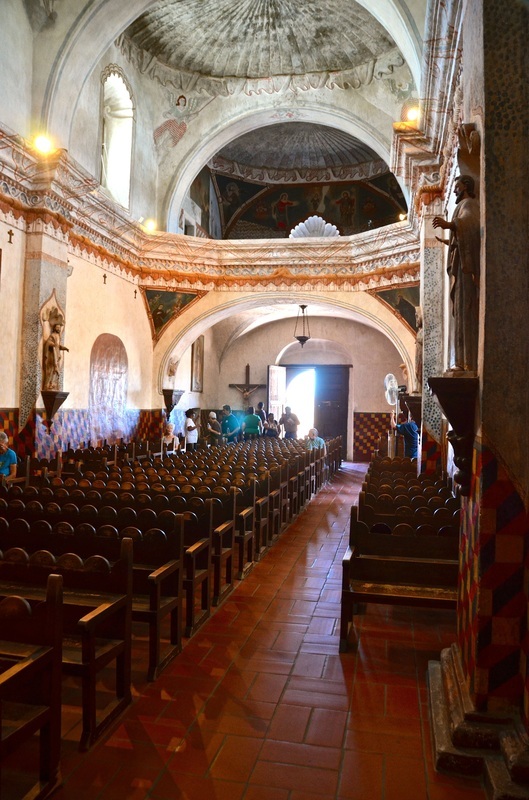 Construction of the current church, built by Spanish Franciscan priests and Native Americans, began in 1783 and was completed in 1797 — 14 years! 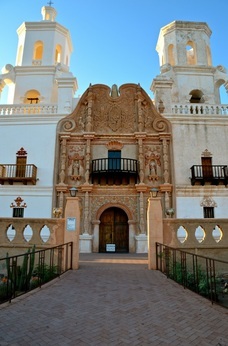 Perhaps the best example of mission construction in the U.S., San Xavier is said to be a combination of Moorish, Byzantine and late Mexico Renaissance architecture. It's truly one of the few places in the United States where you can step back in time by entering an authentic 18th-century space. And as you walk in, you feel it! When I first got there one late afternoon in the summer of 2012, the church already was closed. I had driven across Arizona just to see this church, and I knew I would probably have to go back the next morning. 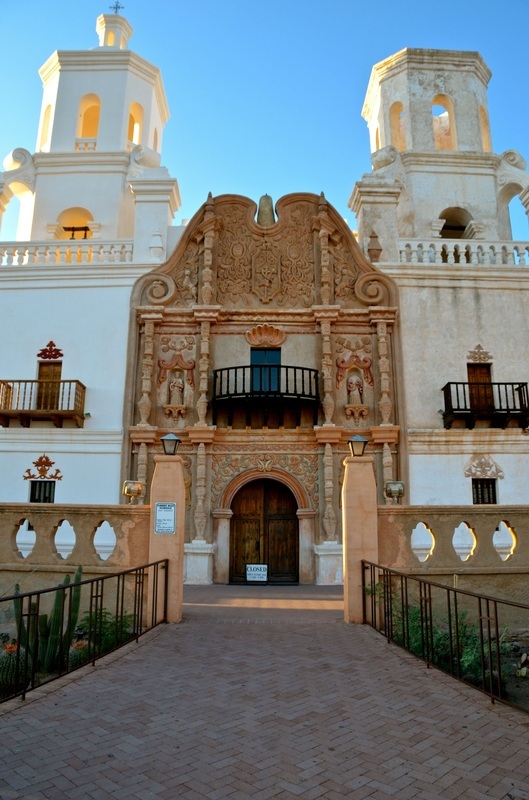 But after checking into a hotel just a few miles south of Tucson, there still was some daylight, and I went looking for San Xavier anyway — just to know my route for the following morning. Then suddenly, as soon as I got back on the road, Voila! — I could see the church from miles away, and I understood how she got her nickname: "The White Dove of the Desert." It was a spiritual moment, one of those that remain framed in your mind for eternity. 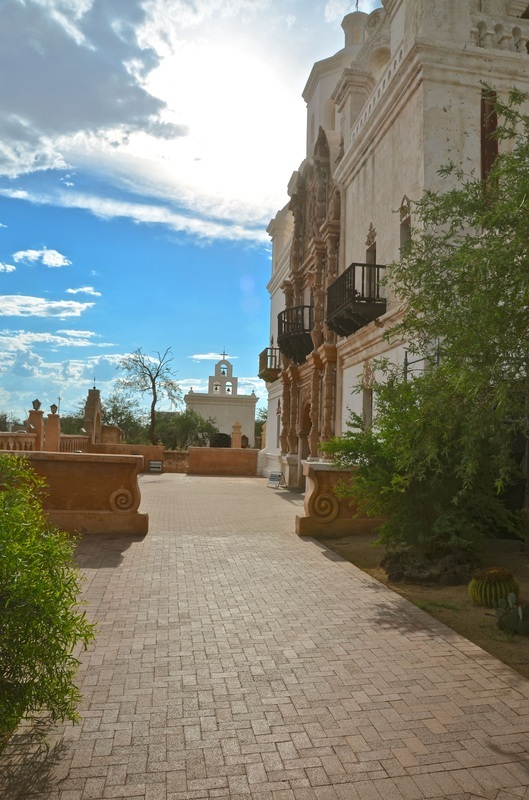 I was alone on the day after my 62nd birthday, and as I arrived at San Xavier, the sun was beginning to set over the horizon of the Arizona desert, and the sky was turning my favorite color, orange. 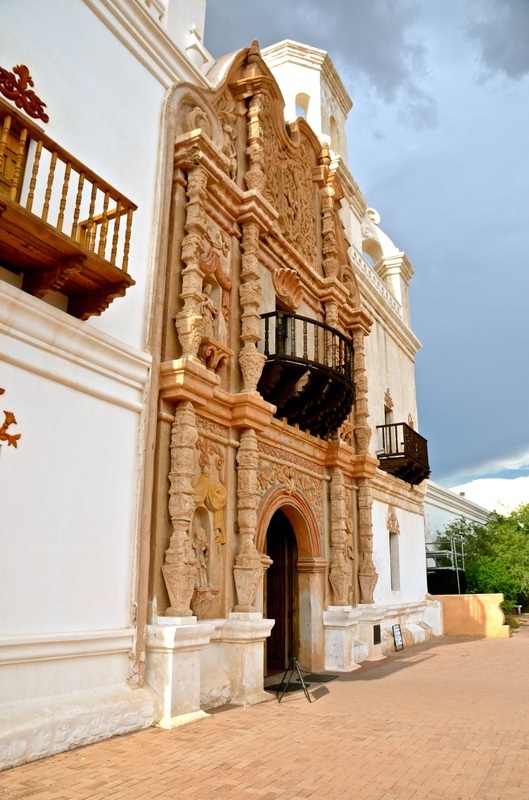 As I ran to take pictures of San Xavier while there was still some daylight, I saw a small chapel adjacent to the church creating the most beautiful silhouette I had ever seen. With the sun setting behind that chapel, I only had a few seconds to snap a few pictures. "Wow," I told myself, as I looked at the photos on my camera monitor. "I get to share this moment with everyone!" 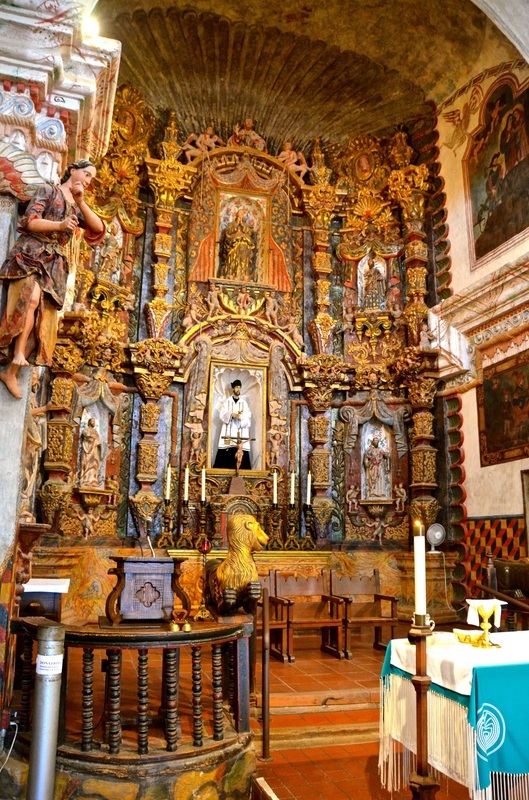 One of those majestic photos became the banner logo on HiddenHispanicHeritage.com, the website featuring all 47 of my Hispanic history columns, including this one. But as great as those photos were and after spending the previous day shooting pictures of the Grand Canyon from a helicopter, I couldn't possibly anticipate the amazing photos that were waiting to be taken as I entered San Xavier the following morning. When the church doors were opened, shortly before the 8 a.m. Mass, I was able to shoot hundreds of beautiful photos. And when the Mass began, I felt even more wonderful emotions. 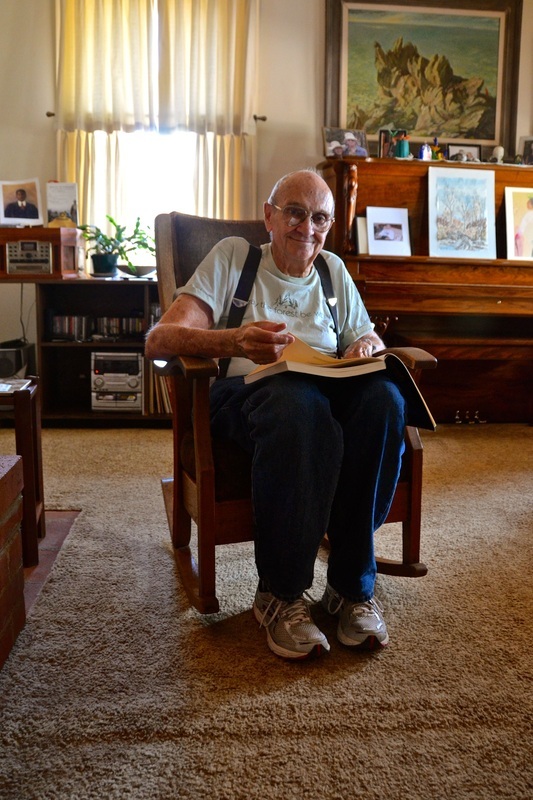 "We should all take a moment to reflect on our need for God in our lives," said the Rev. Thomas Frost, and, for me, inside that church, those words were an epiphany. I had never felt so spiritually fulfilled as I did on that day, in that church, during that Mass. "More people should know about this place," said Frost, who graciously sat down to chat with me after the Mass. He said that although "many Hispanic people come from all over the country to identify with our church ... more people should be aware of the Hispanic heritage that is here." 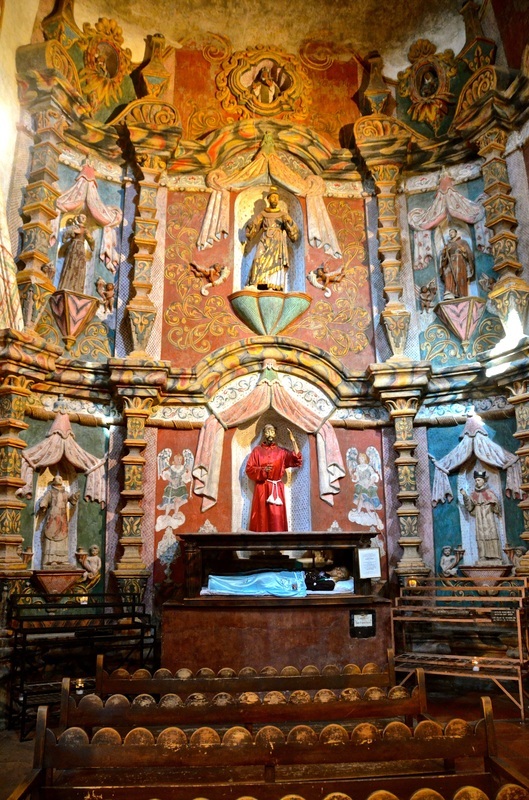 In fact, the church has become a place of pilgrimage to many people all over the Southwest who go there to fulfill promises to the patron saint of the mission, San Francisco Xavier, another missionary who was one of the founders of the Jesuit order. That's where I met Martin DeSoto, a church volunteer who took me all over the area and taught me some local history along the way. And that's where I made the foolish mistake of asking DeSoto if his great-great-grandparents immigrated to the United States from Mexico. "Nooo," DeSoto replied. "When my great-great-great-grandparents lived here, this WAS Mexico!" It was there that I met the great historian Bernard (Bunny) Fontana, who has written several books on the history of southern Arizona, Hispanics and the San Xavier mission, and who gave me a private history lesson in his living room, explaining that — unlike the rest of Arizona and the country — in southern Arizona, "there is a greater consciousness of the fact that we have a Hispanic history." One after another, I was meeting people who kept reaffirming my own personal mission to uproot our hidden Hispanic heritage. "Do you think we can fit one more saint in here?" Frost asked, chuckling. 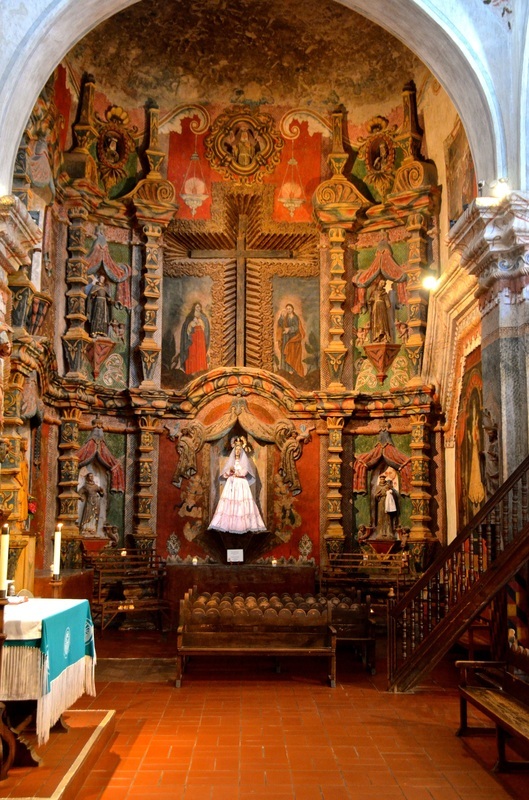 And as we sat there contemplating the beauty of his church — with its walls almost totally covered with hundreds of saints and angels — my own personal quest, passion and commitment to expose America's hidden Hispanic heritage was reaffirmed. 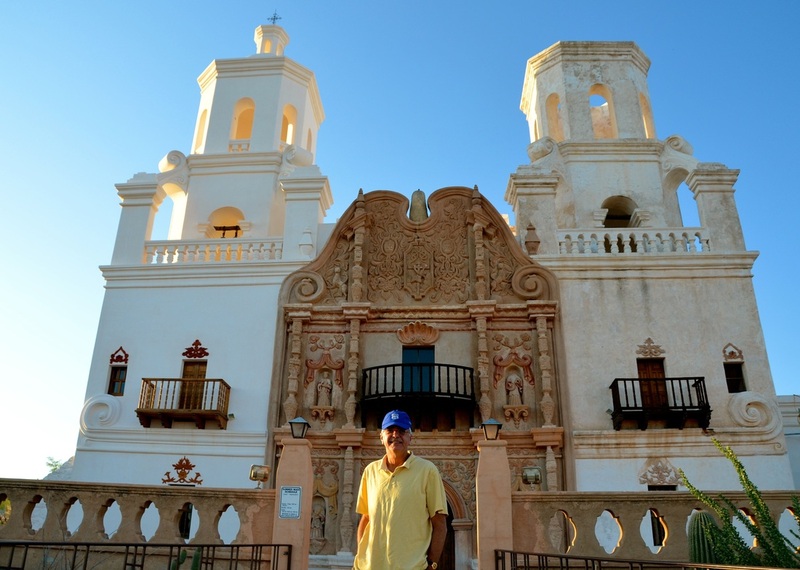 It was there that I began to plan my own personal pilgrimage back to San Xavier and to dozens of other Hispanic heritage landmarks that "more people should be aware of." It was there I that decided to seek a sabbatical from my teaching position and go on a cross-country road trip to continue to expose America's hidden Hispanic Heritage. My trip begins next week. There are many landmarks I'm planning to visit. I'll tell you much more in my next column. But I'm heading west until I see the "White Dove of the Desert" once again. I need to recharge my ethnic batteries. 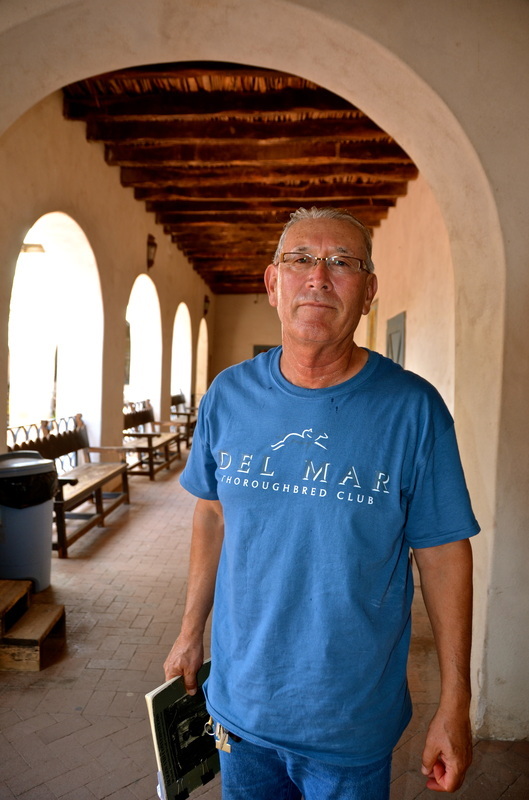 Author and historian Bernard (Bunny) Fontana - In southern Arizona, "there is a greater consciousness of the fact that we have a Hispanic history."